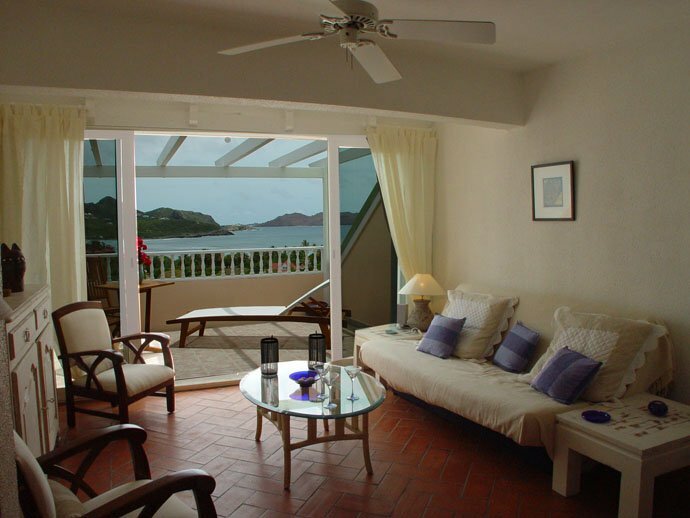 Imagine sitting in the sun on your private terrace that overlooks the pool and the wonderful St. Jean area of St. Barts. 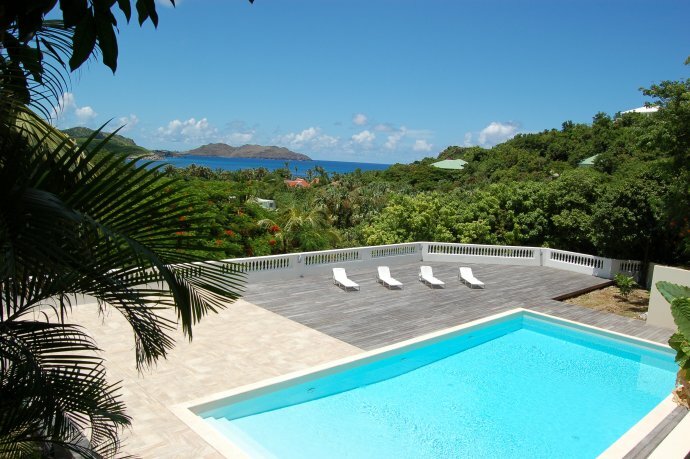 If this vision appeals to you, then a stay at the charming Villa Les Jardins de Saint Jean is for you. 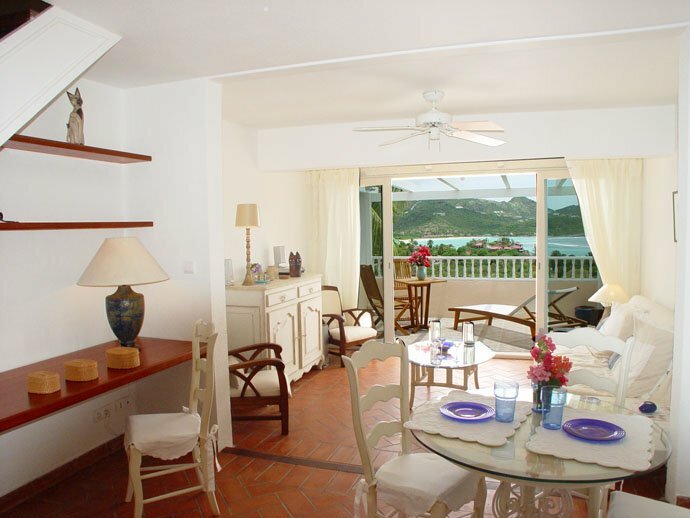 A one-bedroom gem, it is part of an upscale duplex property in this coveted part of the island. Offering you a spacious, apartment-style accommodation, it features a bevy of amenities and features that will make your tropical getaway complete. 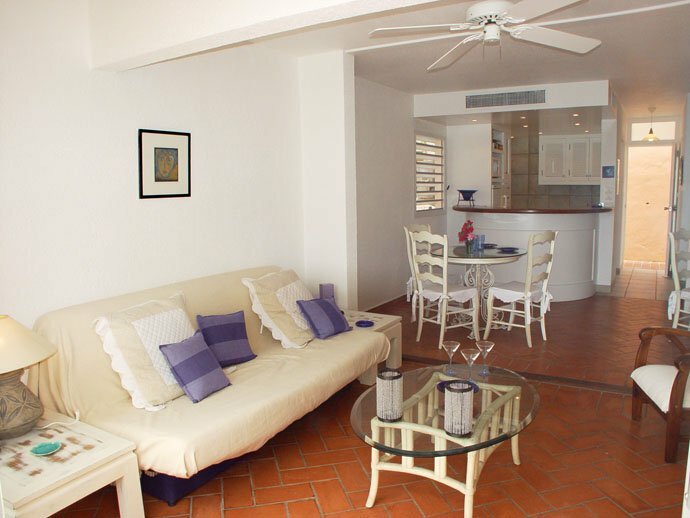 The villa itself features that roomy terrace with a sun bed and dining area. Just inside the oversized glass doors is the covered terrace that includes the living room and entertainment space. 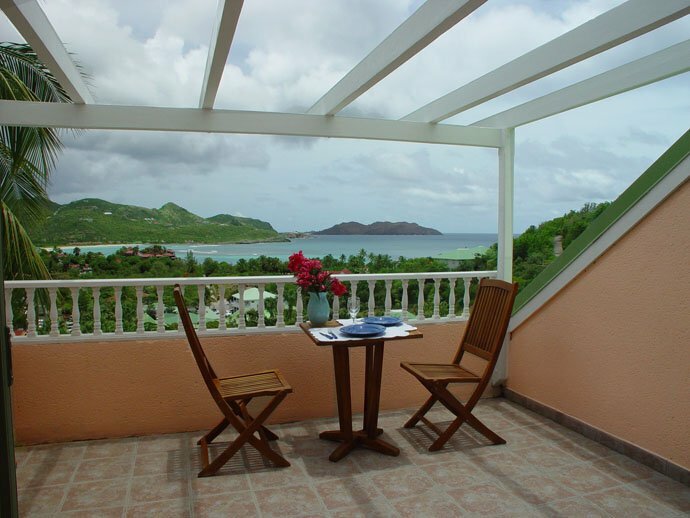 Though savoring the scenery and sea breezes from your own living room may be enough for many, your villa also includes a much larger dining room and modern kitchen as well. There is a work space nearby, but the open air kitchen with its high quality appliances and full array of gear will make it a joy to prepare meals and snacks of all kinds. 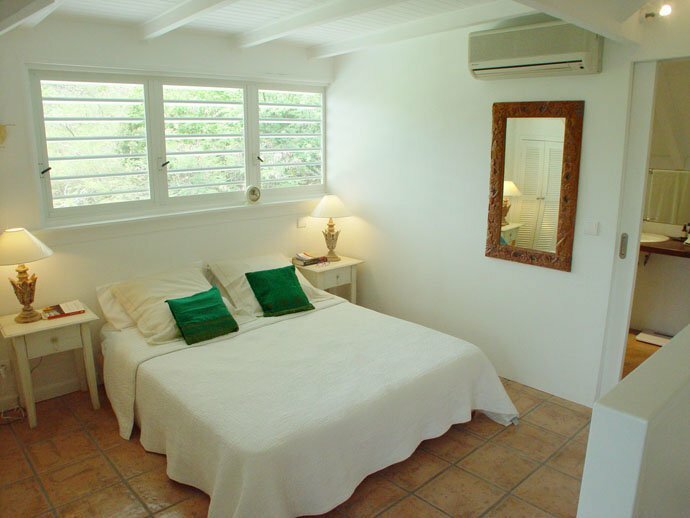 The bedroom is a wonderful retreat as well. Featuring two king bids and a large ensuite bath, it is decorated with a simple and appealing palette that immediately creates a sense of tranquility and calm. 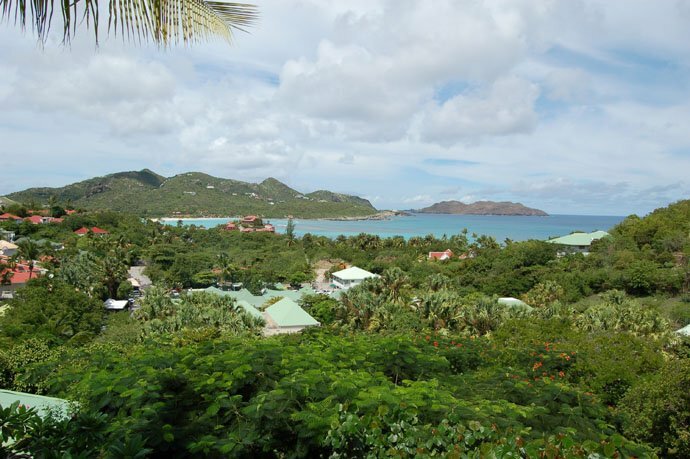 Views out to the gardens enhance the tropical retreat feeling, and you can savor even more of the private paradise as you enjoy the enormous private pool and terrace on the grounds. 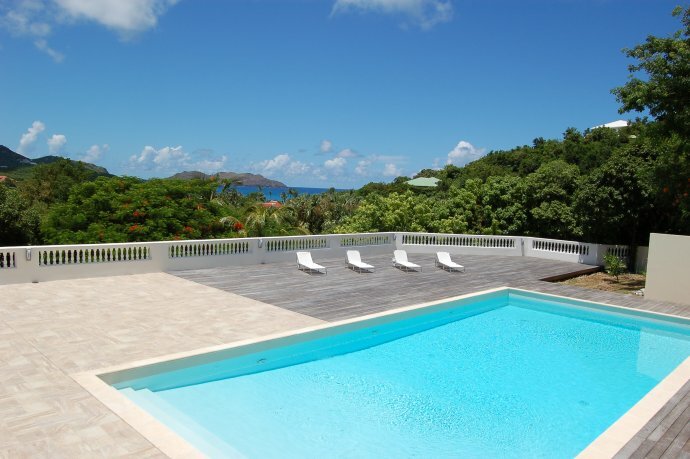 Gaze out to the bay at Saint Jean, marvel at the scenery below you and around you, and bask in the luxury of your private villa when you book a stay at the Villa Les Jardins de Saint Jean. 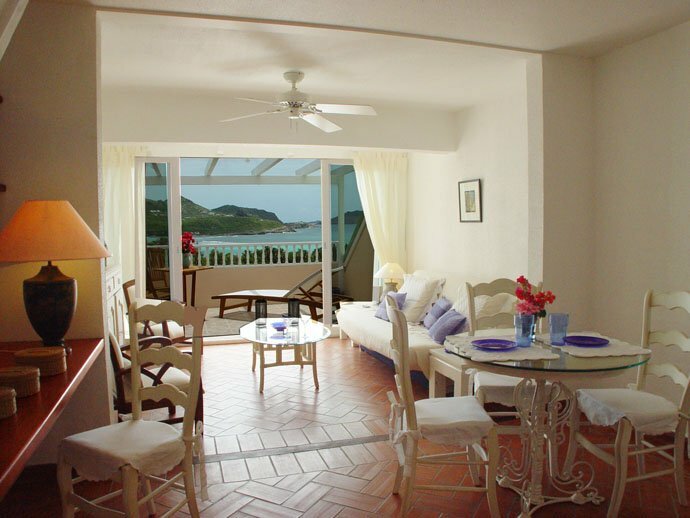 Minutes from excellent shopping and dining, it is the perfect base for an unforgettable Caribbean holiday. "Amazing. I have used wimco for 30 years and your service has been so much better!"